The Bellevue Dentists and all of the staff at Brookside Dental are dedicated to keeping your teeth healthy. Remember dental checkups when you were younger and the only thing that mattered was finding out “Do I have any cavities?” As we get older, life gets more complicated. We stop thinking about cavities and start thinking about everything else. Even though your Dentist in Bellevue has many things to think about relative to the health of your mouth, your Bellevue Dentist has cavity prevention as a vital and a major issue to maintain your healthy mouth, which translates into a healthier body overall. A cavity isn’t just a cosmetic issue. Bacteria in your mouth produce acids that literally eat away at the tooth, causing tooth decay. If left untreated, it can lead to infection and tooth loss. You already know brushing at least twice a day, flossing daily, and keeping up with regular dental checkups is standard cavity prevention. In addition to brushing, flossing and seeing the Best Dentist in Bellevue at least twice a year, here are six simple things you can do to help lower your risk for tooth decay. These tips are universal among Dentists in Bellevue, but if you have specific concerns, Dr. Pauley and Dr. Cave, Top Dentists at Brookside Dental can provide personal tips and information to help you avoid tooth decay and cavities. If it’s time for a checkup, call us at (425) 643-2818 to schedule your appointment in our Bellevue Dental office. 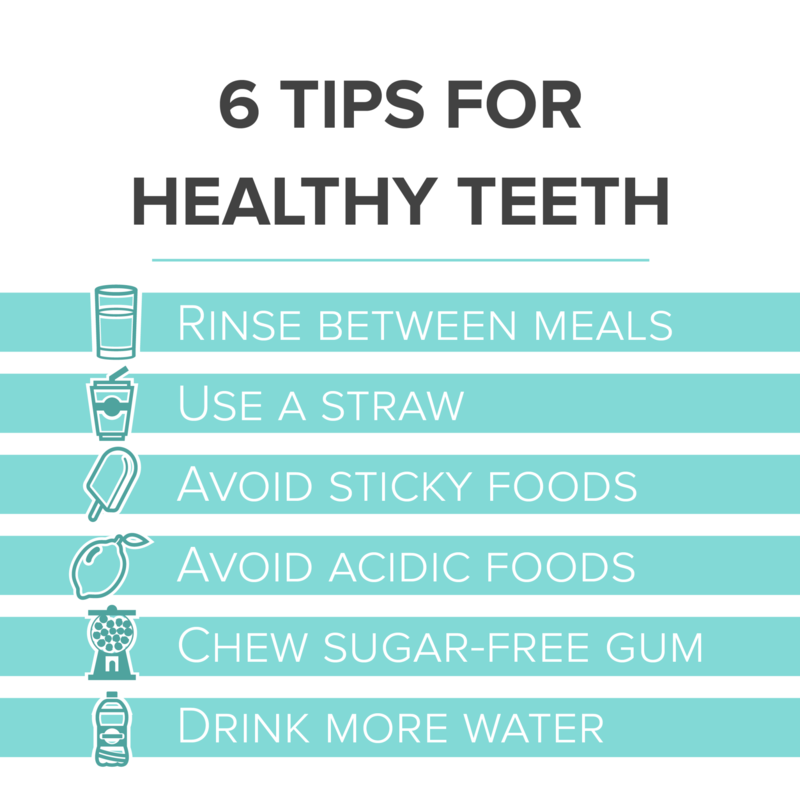 Great tips for healthy teeth! I noticed a huge change in the sensitivity of my teeth after I started drinking with a straw. Thanks for the advice. Thank You Smile Wide Dental. Nice blog and very helpful.